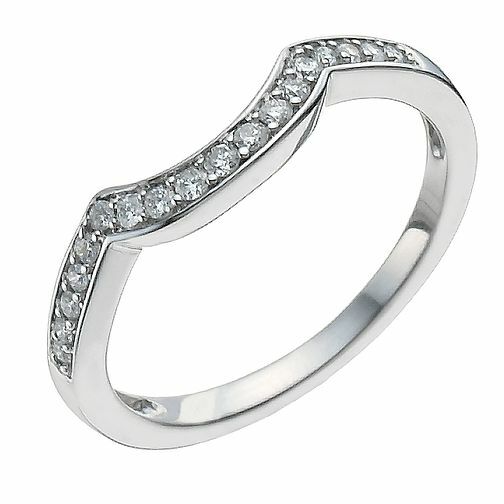 A precious 18ct white gold shaped ring, set with sparkling diamonds totalling 15 points. Perfect for a touch of everyday glamour, or as a divine wedding ring boasting a complementary shape for a companion engagement ring. Designed to perfectly fit the beautiful diamond solitaire under product code 9224696.